Spacious ranch home with Farmhouse exterior in the newest redevelopment area near downtown Carmel. The property is 1/2 mile from the Monon Trail & then a 1/2 mile to Main St. Walk to the farmers market, the Palladium, Carmel’s downtown retail. Three bedrooms with study and open home great for entertaining. This home offers an inviting front porch, a covered outdoor living, and finished basement. Each secondary bedroom has a private bath. 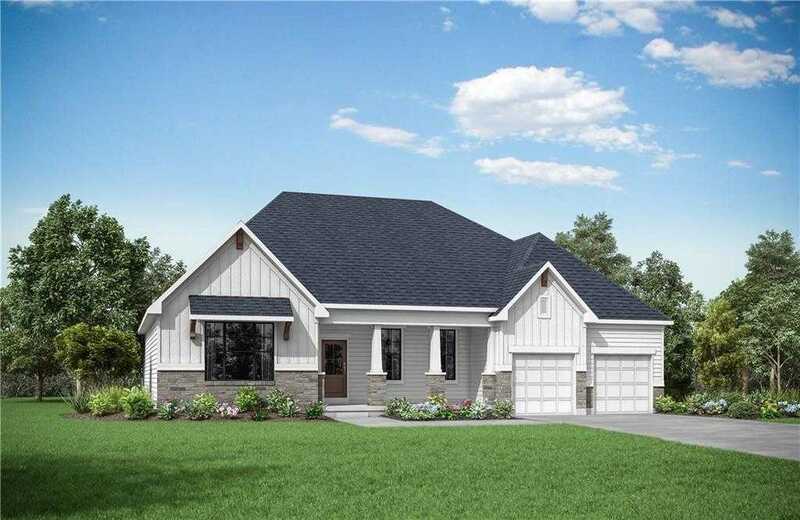 Build this home or another one of Drees’ home plans. Please, send me more information on this property: MLS# 21618227 – $696,420 – 842 West Auman Drive, Carmel, IN 46032. I would like to schedule a private showing for this property: MLS# 21618227 – $696,420 – 842 West Auman Drive, Carmel, IN 46032.